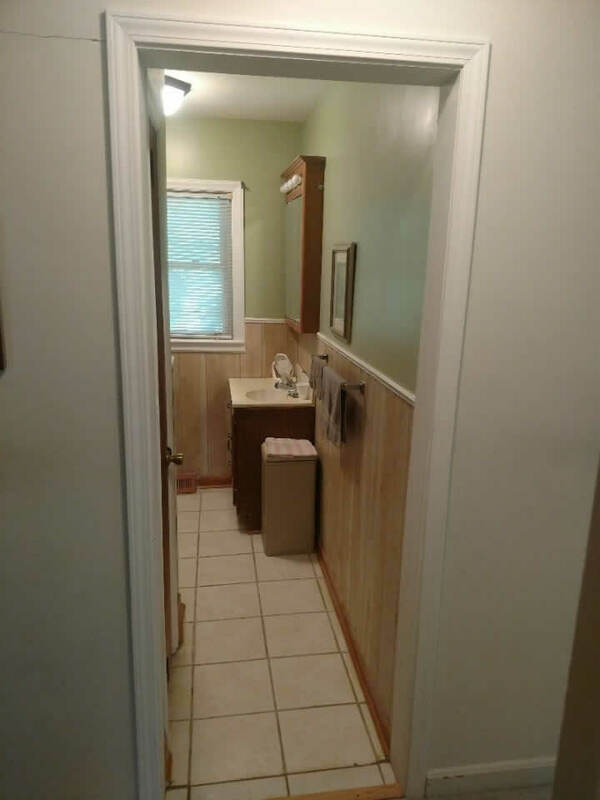 This bathroom remodeling project was for an older adult woman in High Point. 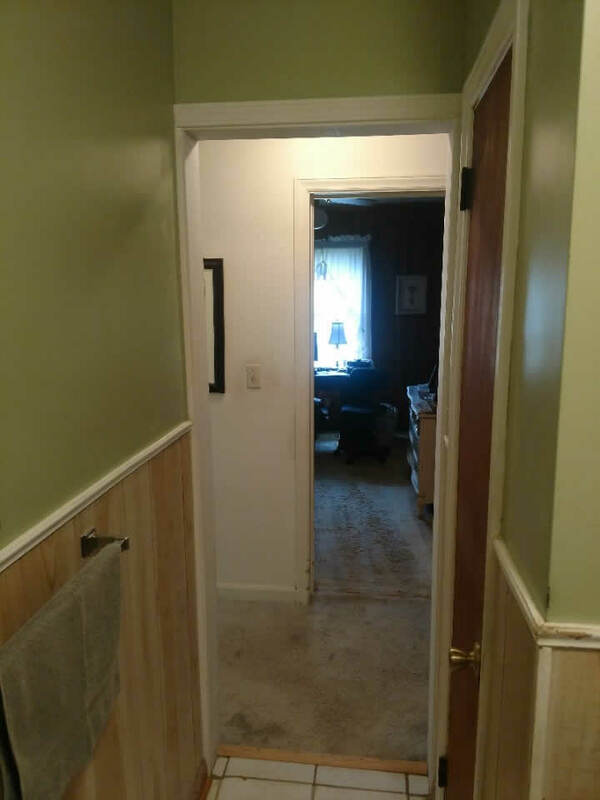 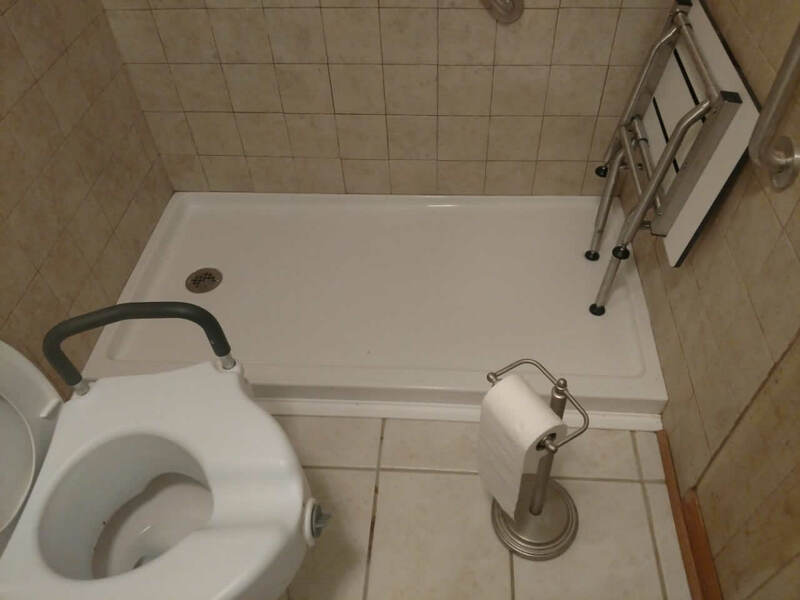 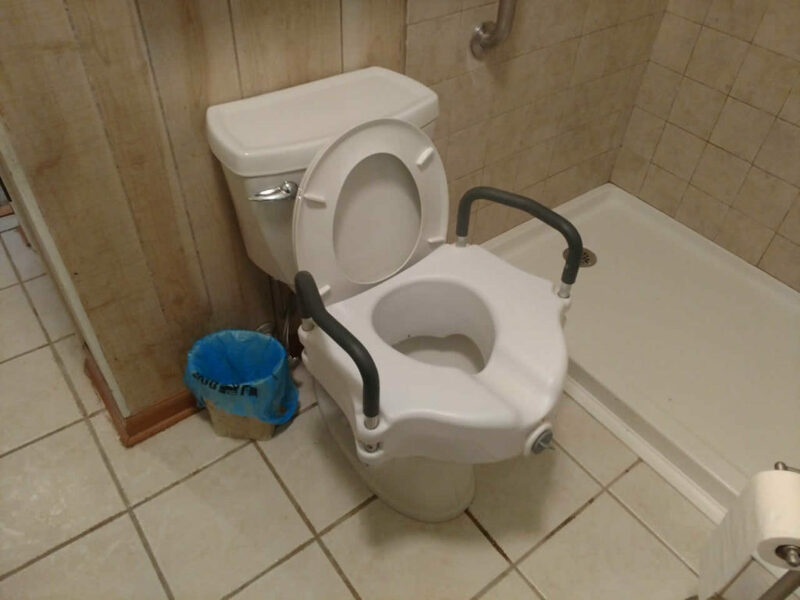 Our client uses a walker daily and was unable to get into the bathroom due to the width of the walker. 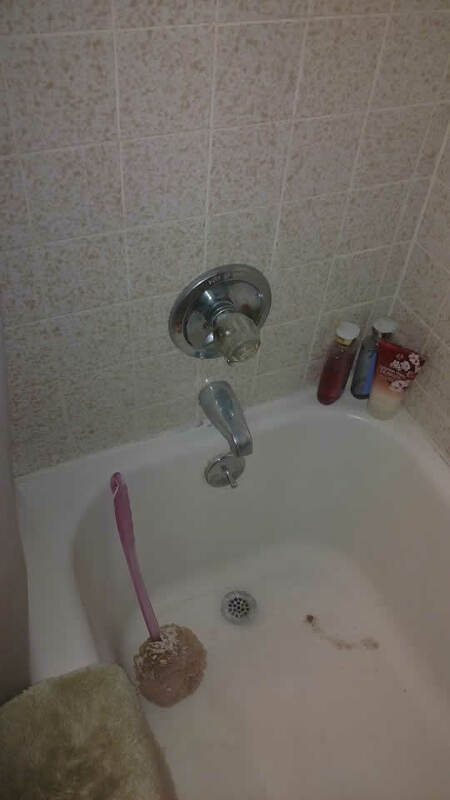 Also, if she could have gotten into the bathroom with the walker, she would not able to get into and use the existing bathtub safely. 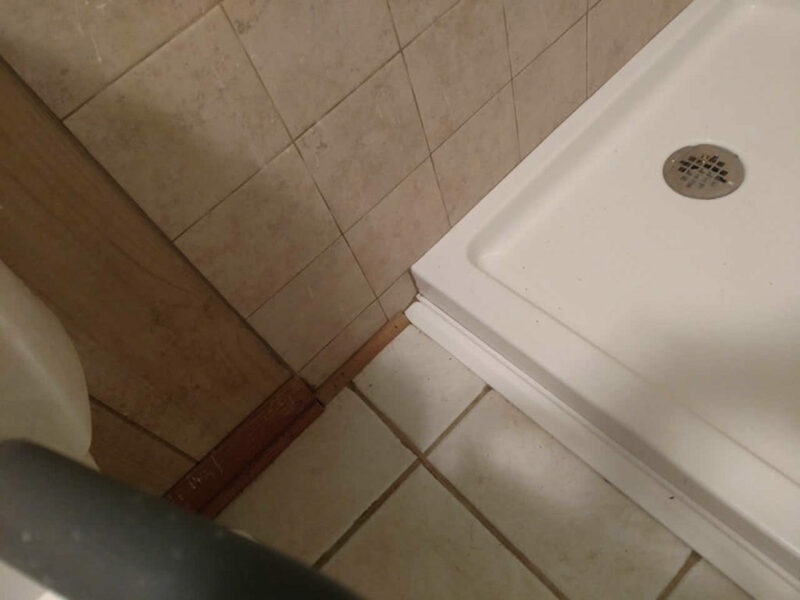 As a side note, if you notice the low profile of the shower pan. 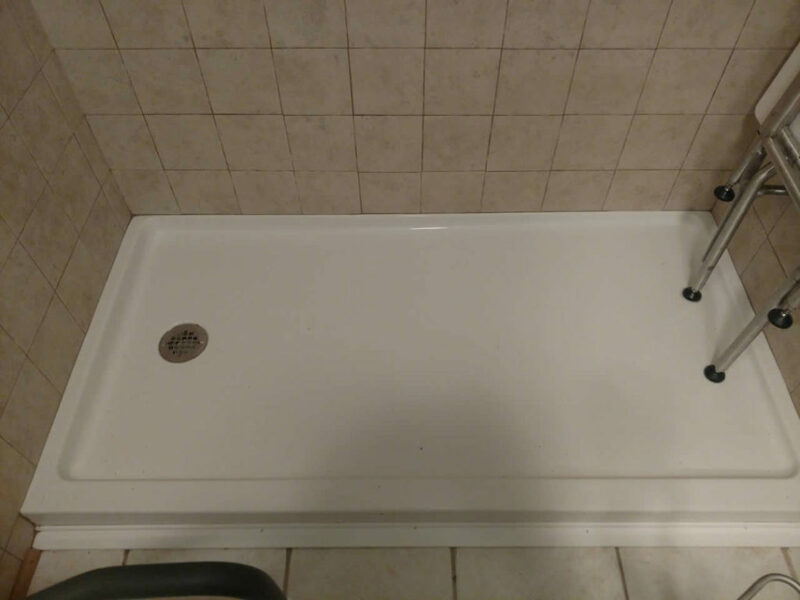 These pans make excellent showers for small bathrooms. 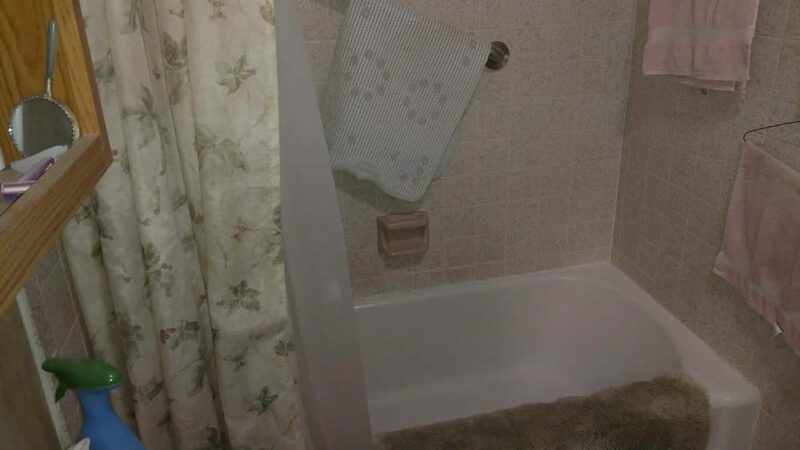 In order to help ensure her safety in the bathroom, we removed her existing bathtub and replaced it with a small walk in shower. 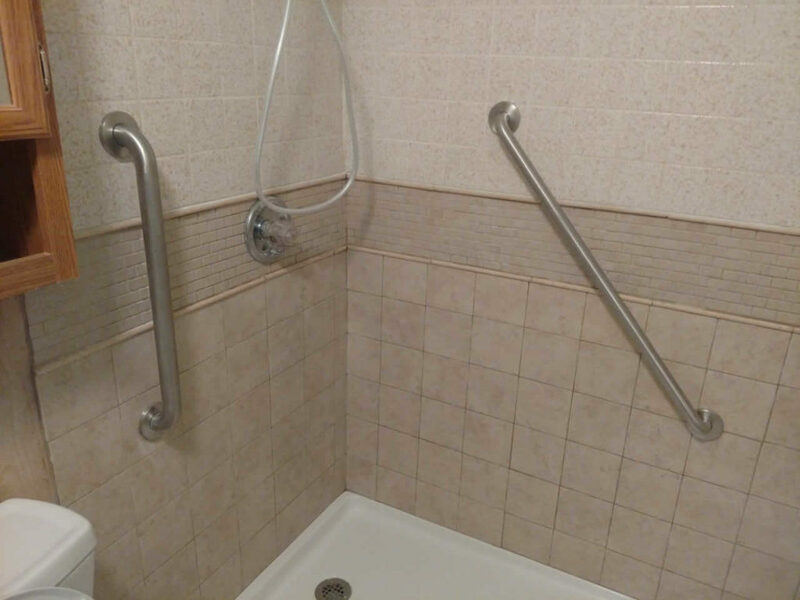 This alone made it so she could more safely enter the shower area to care for herself. 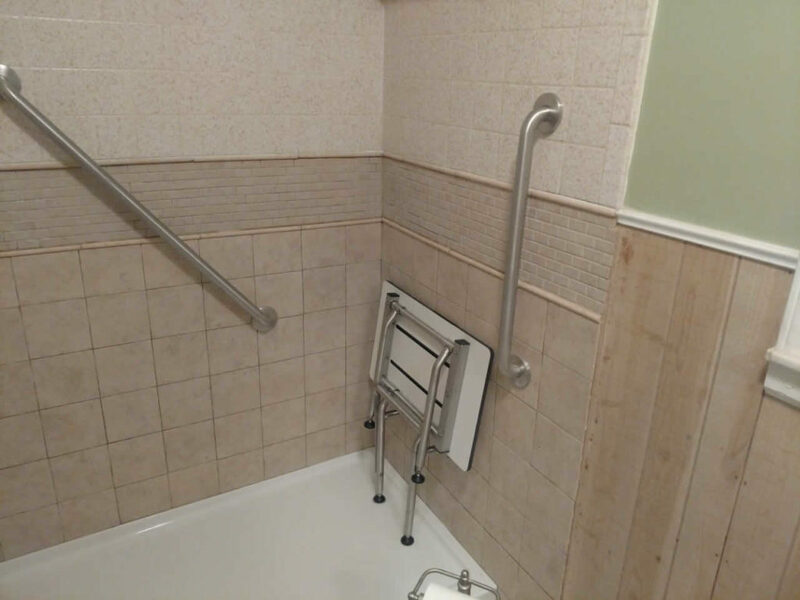 Two of the products we installed included, grab bars and a pull-down shower seat in the small walk in shower. 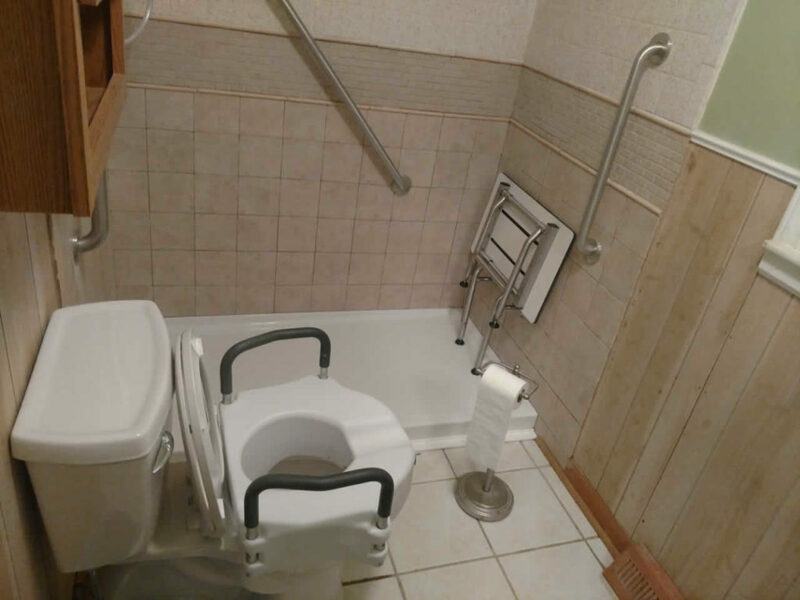 As well as, upgraded her to an ADA approved toilet, which is just a little bit taller (making it easier to use). 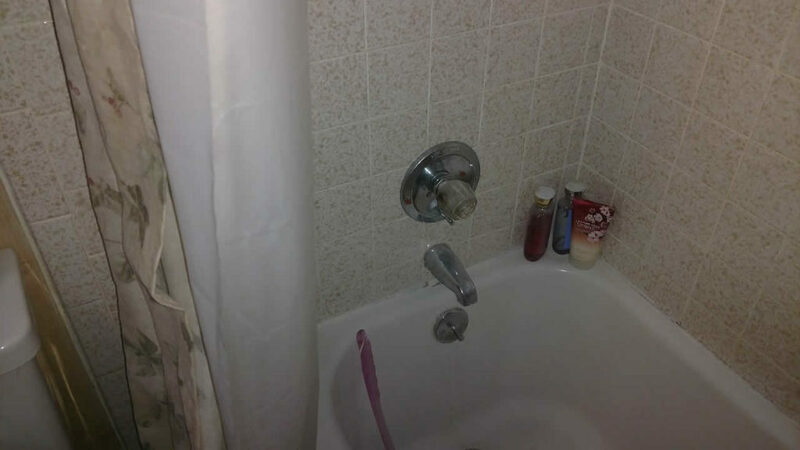 Believe it or not, simply adding a small walk in shower and a few other things changed a person’s life. 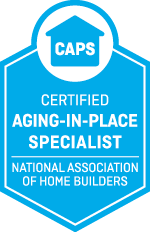 It allows her to better care for herself and helps prepare her home for later in life when she may need more help.